Chip and Joanna are becoming the chief creative officers of a new rebranded version of the DIY Network that will be launched in Summer 2020. The agreement was announced Wednesday by Discovery, Inc., the parent company of both HGTV and DIY Network, and Magnolia, Chip and Joanna's home and lifestyle brand. The new media joint venture will be led by Chip, Joanna and current HGTV President Allison Page -- who will serve as president of the new network -- and will also include an app, a subscription streaming service, and on-demand content. 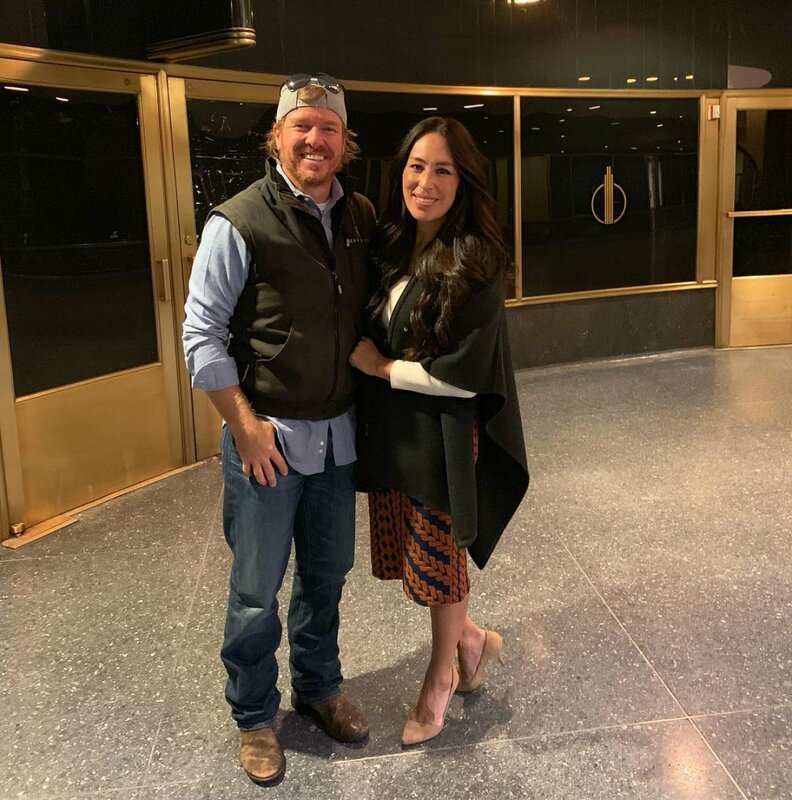 "Chip and Joanna Gaines have become trusted, household names since the debut of Fixer Upper and through this joint venture, Discovery is proud to extend our relationship with them," David Zaslav, Discovery Inc. CEO, said in a statement. "They've got authenticity and relatability, that special something that is so difficult in our business to find. People love them, their taste, their businesses -- they've built an ecosystem that aligns perfectly with our vision at Discovery for fueling people's passions." The new network's name will be announced at a later date, but "Magnolia" will presumably be part of the name given Chip and Joanna have used the name in their growing empire of businesses -- which in addition to real estate and construction, now also includes a bakery, a restaurant, a magazine, and furniture and home furnishings brands. The new network will also replace HGTV of the new home of repeat broadcasts of Fixer Upper, which premiered on HGTV in 2013 and ran for five seasons before Chip and Joanna decided to end it. New programming concepts currently in development for the network include community, home, garden, food, wellness, entrepreneurialism and design. "Our intention with this network is to create and curate content that inspires, encourages, and helps to build bridges across our communities. We want honest, authentic programming that brings families together," Chip and Joanna said in a joint statement. "We believe David Zaslav and the team at Discovery are the perfect partners for this ambitious joint venture, and we know Allison Page is the right person to lead this charge. We're ready to get started and are expectant for all that's ahead." Allison insisted "possibilities are endless" when teaming up with the beloved married couple and Discovery. "I'm thrilled to have the opportunity to work in this role to help create unique, inspiring and family-friendly content, and I can't wait to see where this new platform takes us as we super-serve and inspire fans all over the world," Allison said in a statement.